Choke Collars remain to be one of the most effective training equipment. The traditional way these collars are used by professional trainers is to give a sharp signal to make the dog stop from what he’s doing. We want to turn your attention to our Perfect Leather Choke Collar! It’s better than metal one, cause the collar is very simple in usage and looks like ordinary dog collar! 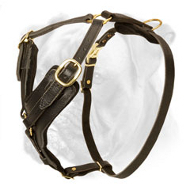 The Collar is made of a very strong material and is easily adjustable to fit your Boxer! 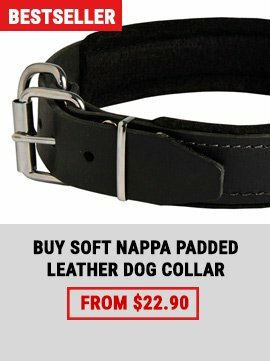 This dog collar is made of leather, which is a very strong material.So, be sure, that this choke collar will serve your doggy forever! 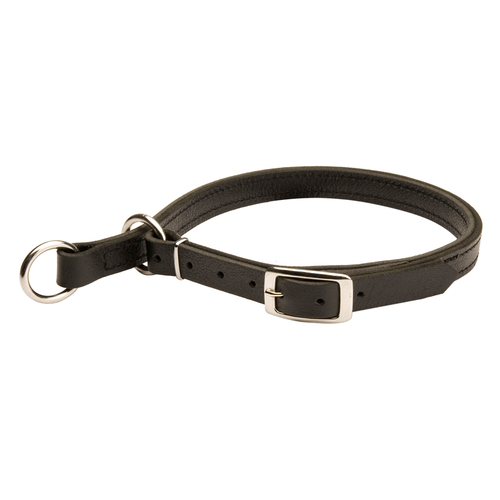 We offer this Leather Dog Collar with nickel buckle and rings. However, you may also choose brass fittings instead of nickel. Both nickel and brass fittings are solid, unbreakable and resistant to rust. This Leather Dog Collar is Multifunctional. It isn’t meant only for training as an ordinary choke collar. 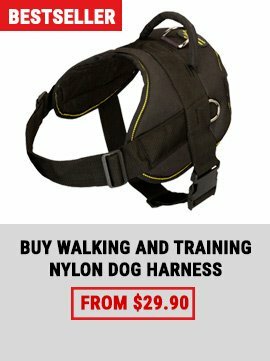 The collar is equipped with Buckle thanks to which you may easily turn this Training Choke Collar into an Ordinary Walking one! 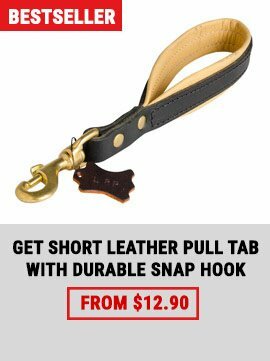 You just need to unbuckle the leather strap and put it through one of the rings, while another one should move freely on the strap for your Boxer to wear Elegant Leather Collar without choking effect.